International express shipping worldwide, 8-11 business days. Beauty Mineral Shea Body Butter is rich in natural mineral from the Dead Sea that provides your body with the ultimate moisture treatment soften and relax the skin. 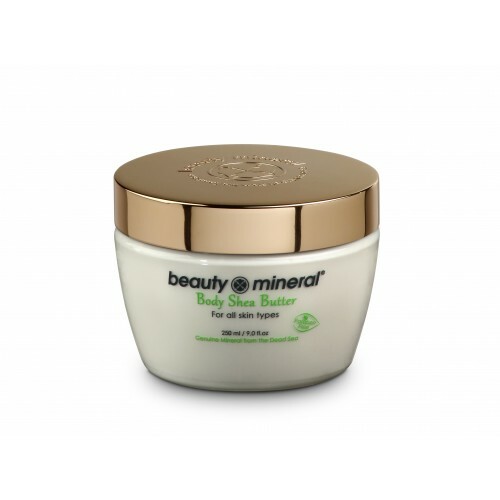 Beauty Mineral Shea Body Butter is rich in natural mineral from the Dead Sea and Aromatic Oils that provide your body with the ultimate moisture treatment soften and relax the skin. Quickly absorbed into the skin, it helps maintain the skin's natural suppleness. Directions: Apply a generously layer and massage gently over the skin until completely absorbed. Recommended after shower or after exposure to the sun. Very nice aroma and lathers better than any other product I have used before. A natural cellular renewal (healing) ingredient and antioxidant. In its pure form, the oil is too heavy for daily use on the face; however, it makes an excellent ingredient in moisturizers, eye treatment preparations and facial masks. In its pure form, it may be used for healing cuts, abrasions, and burns. Despite its name, the Dead Sea features a wealth of revitalizing ingredients, and contains the world's highest concentration of moisture-rich minerals, which are uniquely suitable for skincare. The Dead Sea is saturated with natural minerals, including magnesium, calcium, sodium, potassium, and many more. As it is located at the lowest point on Earth, the Dead Sea region also boasts the highest concentration of pure oxygen. The black, mineral-rich mud that is found in abundance on the shores of the Dead Sea contains exceptionally high concentrations of natural minerals, and therefore also possesses ideal therapeutic properties. The atmospheric conditions in the Dead Sea region also function as natural sunscreens. 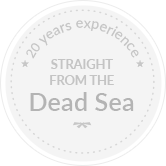 The unique combination of these factors – the air, water, mud, and minerals – has firmly established the Dead Sea as the world's greatest natural spa. Renowned since ancient times as the finest of all oils, olive oil has been used to nourish and treat the skin for thousands of years: Cleopatra was said to bathe in olive oil to soften her skin and maintain its natural moisture balance. Olive oil is also rich in the antioxidant vitamin E, the most effective defense against the free radicals responsible for cell oxidation and premature skin aging. Coconut oil is extracted from the kernel of matured coconut harvested from the coconut palm. Coconut oil is excellent oil for the skin. 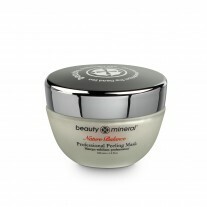 It acts as an effective moisturizer on all types of skins including dry skin. Coconut oil is a safe solution for preventing dryness and flaking of skin. Coconut oil delays wrinkles, and sagging of skin which normally become prominent with age. Coconut oil also helps in treating various skin problems including psoriasis, dermatitis, eczema and other skin infections. Therefore coconut oil forms the basic ingredient of various body care products such as soaps, lotions, creams, etc., used for skin care. Coconut oil also helps in preventing premature aging and degenerative diseases due to its antioxidant properties. Shea butter is derived from the fruit of shea nuts which grow on trees. Inside the nut is pulp that is cream or yellow in color and it is no easy task to obtain this pulp because aside from extracting the pulp, it has to dry and go through a kneading process. This pulp which is essentially the butter has natural properties that are very beneficial. The fatty content of the butter is manufactured in shampoos, soaps, anti-aging creams and lotions. When shea butter is applied to skin, it is easily absorbed. Shea butter contains Vitamins A and E, elements that rejuvenate the skin. It can promote skin healing and can slow down the effects of skin aging. It is also supposed to help hair that has gone brittle or help rehydrate a dry scalp. 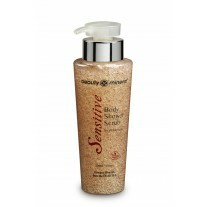 With skin application, it contains cinnamic acid which gives protection from the sun's UV rays. Beeswax is credited with anti-inflammatory, anti-allergic, antioxidant, anti-bactericidal, germicidal, and skin-softening and elasticity enhancing properties. Secreted by the bees and deposited onto honeycombs, it is obtained purely by filtration and without any harm to the bees! Used for centuries, it is antiseptic and wound healing and gives protective emollient to our skin balms and Lip Silk. 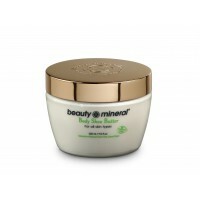 © Beauty-Mineral Store. All Rights Reserved.